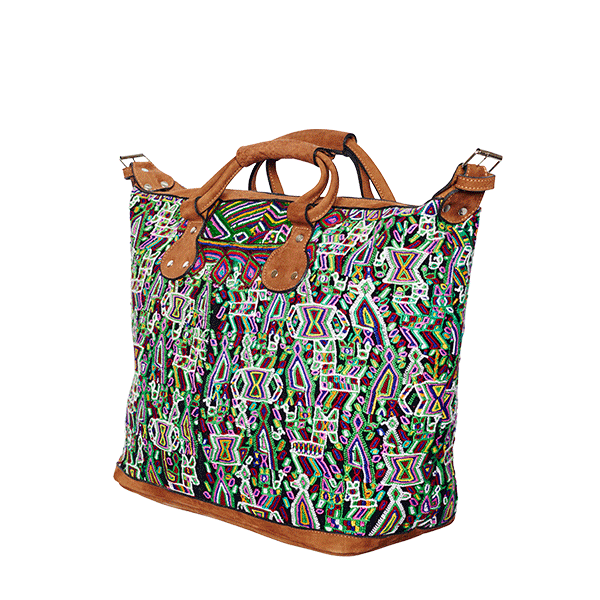 Our weekender is your perfect daily or travel companion! 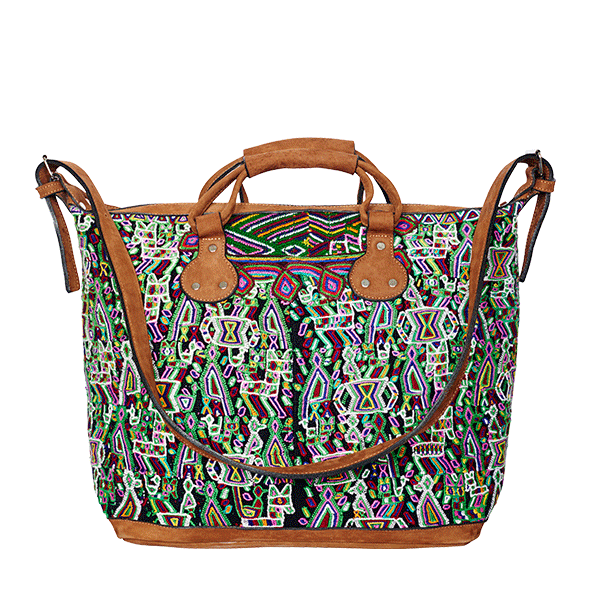 Laptop, books and other essentials easily fit into this spacious bag. 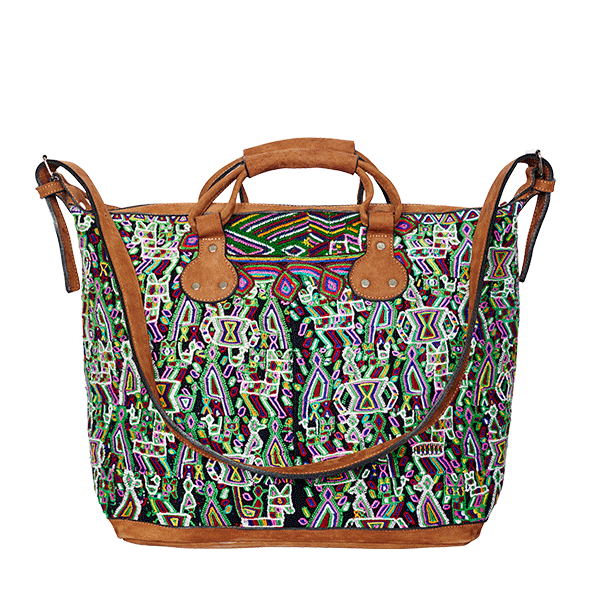 The adjustable leather shoulder straps and dual top carry handles make even heavy content feel light. 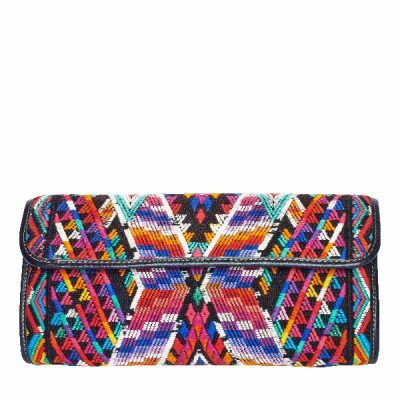 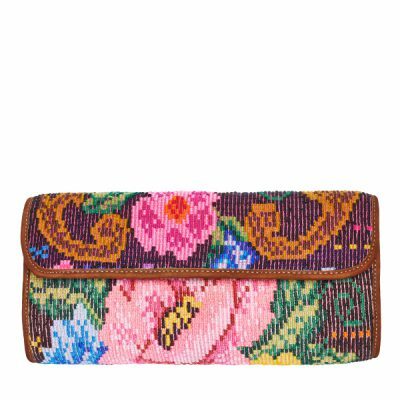 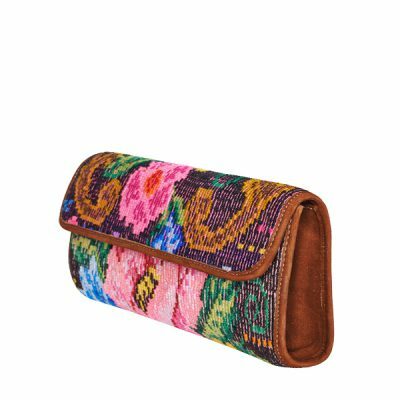 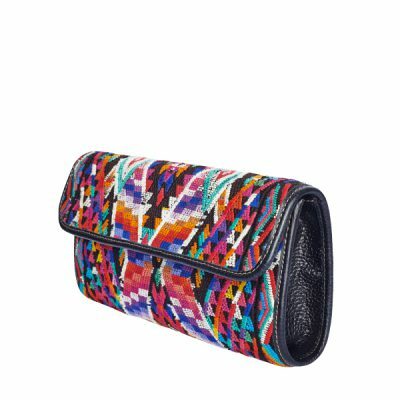 The interior features a convenient zip pocket and two compartments which are perfect for cell phone, pens, make-up and other small things. 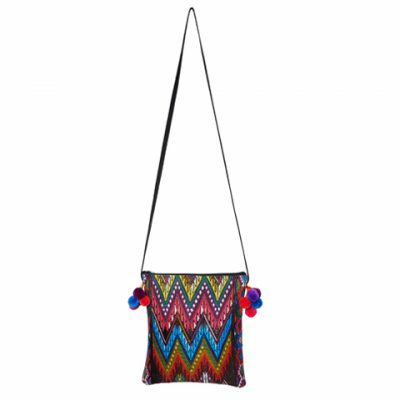 This weekender is made of handwoven fabrics from the village of Nebaj (Guatemala), combined with soft nubuk leather.